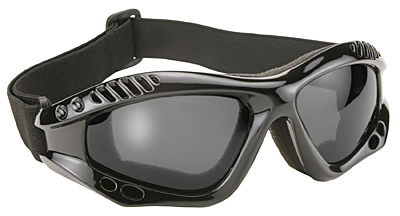 New from the makers of Airfoil goggles a.k.a. 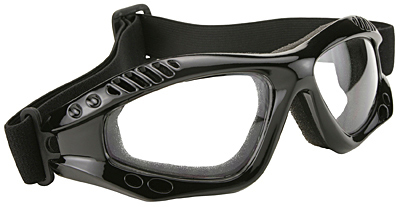 Pacific Coast Sunglasses are Turbos, a great large black Goggle that looks as cool under fire even as it performs, featuring a wide panoramic field of vision and forged with either standard Impact Resistant UV 400 lenses or with Polarized Polycarbonate lenses that also feature 100% UV Protection but also give the wearer High Definition imagery. 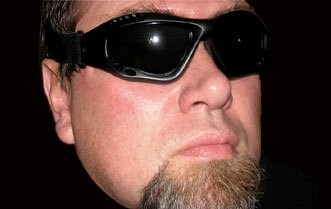 Furthermore, Polarized lenses dramatically reduce reflective glare off of water, highways and other reflective surfaces. Eye fatique associated with prolonged exposure to the sun's glare is effectively diminished Throw in a free free soft pouch to seal the deal and you got yourself a contender !! !